All weather durable vinyl - long-lasting & maintenance-free. Fire-resistant - vinyl won't catch fire. A two air vent system is embedded in the front & back fascia for better air circulation. Won't rust, rot, dent, or mildew. Heavy duty door hinges & large door handle with latch & padlock eyes. Snap-fit panels provide a secure & easy attachment for panel assembly. 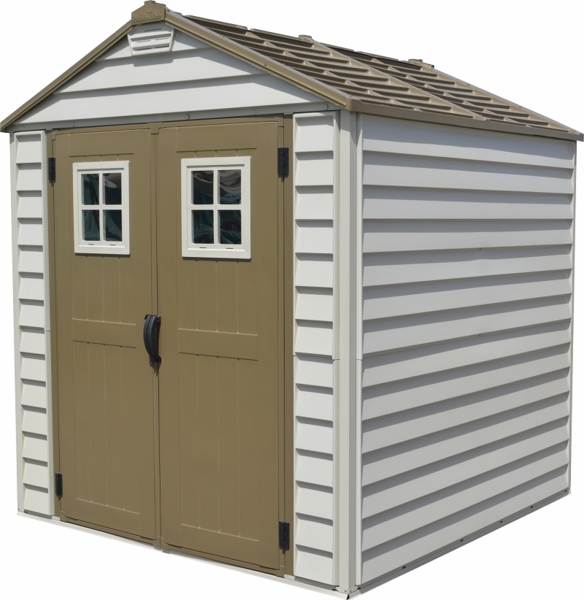 Wide front double doors - one door comes with an interior door lock steel barrel bolt on top & bottom. 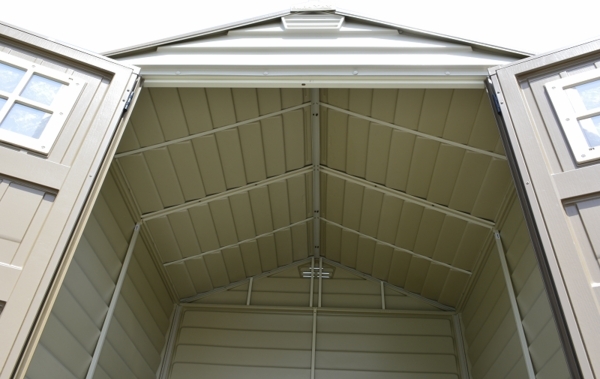 Roof overhangs walls to help keep the water off the sidings, windows & doors. 15 years warranty, the longest warranty available. 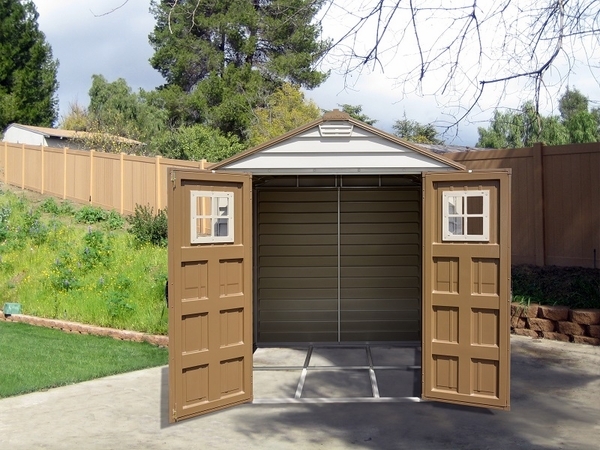 The DuraMax StoreMax 7 x 7 Outdoor Storage Shed with Foundation Kit offers 249.2 cubic feet of storage for your backyard. 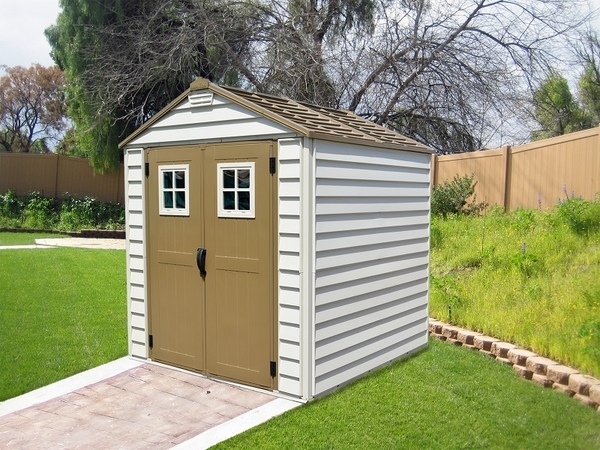 This shed features a taller pitched roof for better snow slide off, and the roof overhangs help to keep precipitation off the walls of the shed. 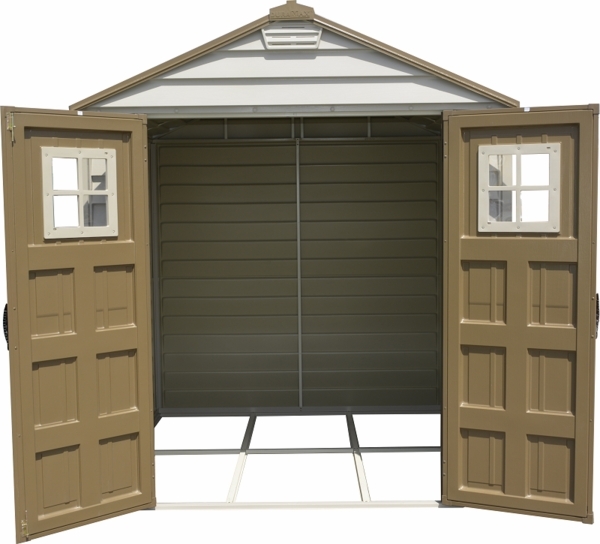 The double doors feature windows, bringing natural light into your shed. 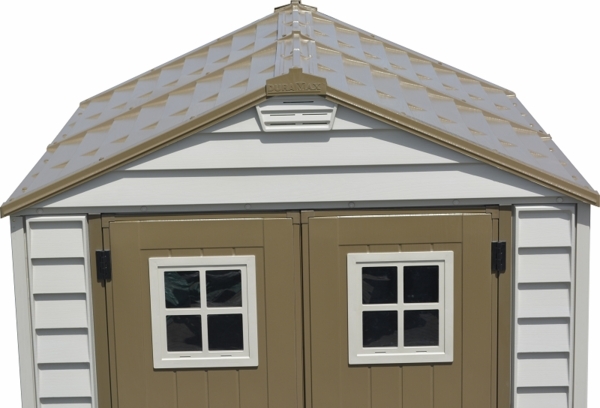 The StoreMax Shed features two air vents, one each in the front and the back of the shed, to assist with air circulation and to prevent excessive moisture and heat buildup in your shed.